hd00:10London. 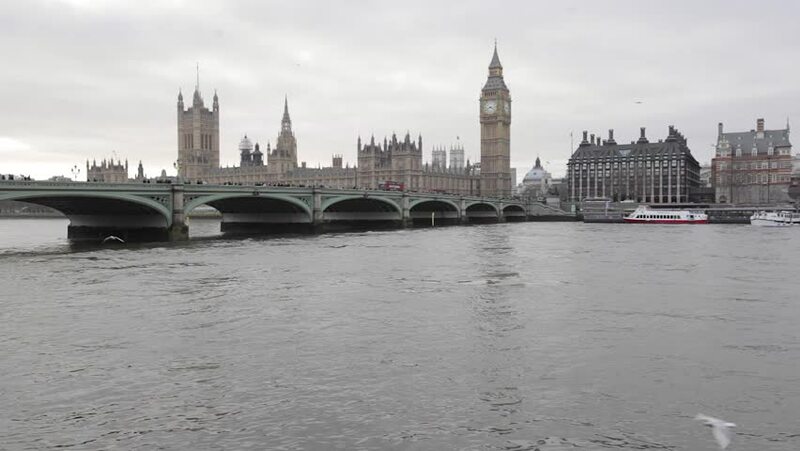 View of Westminster Bridge, Big Ben and the British Parliament. On the Thames sailing cruise ship. The bridge moves the flow of cars and people walking.